Tungsten is one of the strongest metals that is both electrically and thermally conductive, has high temperature resistance and tensile strength and is very hard and dense. Tungsten rods are stock tungsten shapes or forms that are usually machined or ground into parts and products. They may have differing profiles, including round, oval, square and hexagonal. Since tungsten and its alloys have a very high melting point, 3410° C, the metal is very hard to fabricate into different shapes, which limits the design complexity. The rods either come in pre-determined profiles and dimensions or are custom cut to meet a specific design. They are used in semiconductor, chemical vapor deposition and physical vapor deposition processes. Fuel cells, solar energy and thin film deposition on glass or metal substrates also use tungsten rods. The most common and useful application, however, is with arc welding as an electrically conductive electrode, which is used to transfer electric current to two separate pieces of metal to melt their edges and combine them into a single product by using the high heat generated from the electricity. The aerospace, chemical equipment and medical industries also use products made from tungsten rods. Tungsten is a very difficult metal to fabricate and machine because of its high melting point and tensile strength. Tungsten in raw form is a fine, grey powder. To form a billet or preform, the powder is sintered. The sintering process begins with a mold in the shape of a rod which is densely packed with the powder. The mold is then placed in an industrial oven, which reaches high temperatures. As the tungsten powder becomes hotter without reaching its crystallization temperature it becomes soft and adherent. Once cooled, the tungsten is hard, dense and in the shape of a rod. It is then sold one of three ways-black, which still has a coating of lubricant and oxide, cleaned, where the coating has been removed with chemicals, or ground. Ground tungsten rods have been machined with diamond or silicon carbide tools to remove the coating and achieve a certain smoothness and diameter. 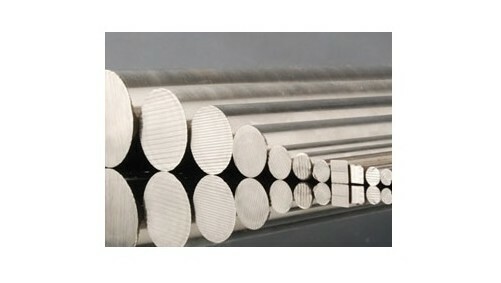 Unlike other metal rods, tungsten rods cannot be drawn, only ground. Tungsten Rods Tungsten rods are long, thin profiles of tungsten or tungsten alloy that have uniform thickness and differ in diameter and length.